Earrings for women who want to make a statement. 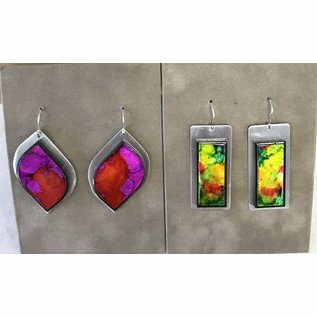 Light weight hand-painted aluminum one of a kind, wearable works of art. Made in New Hampshire. Created by PGaige Design in Bow, New Hampshire. "A native of NH, I have always been intrigued and drawn to anything artistic. 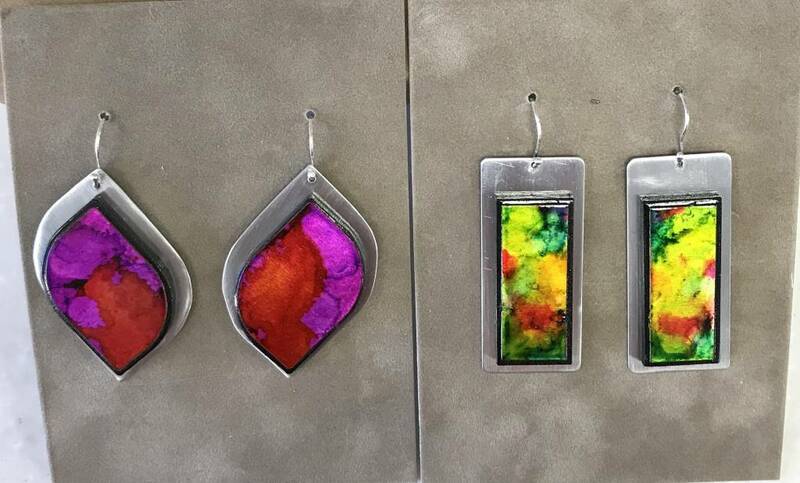 Right now I am very excited about creating my latest pendants. They are a mixture of media. 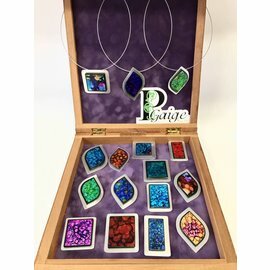 I am using aluminum along with alcohol inks to create a very unique light weight piece that anyone can wear and not feel overwhelmed by. Each is hand-painted and handcrafted by myself to be one of a kind. I have always had a love of jewelry designing and fabricating which has brought me to this point. Although for years I worked and furthered my knowledge with silver, aluminum is fueling my passion now."